Rafters will explore the entire 40 runnable miles of the North Fork of the Shoshone River. In addition, rafters will float the Red Canyon of the Shoshone below Buffalo Bill Dam. These rivers range from Class II to IV- in difficulty. In our whitewater program, scouts don’t just ride along in a raft, they learn to fit a PFD, rig a gear boat, read the water, scout a rapid, use a throwbag, row an oar rig, guide a paddleboat, and river Leave No Trace. This program covers most of the Whitewater Merit Badge and Venturing Ranger Watercraft elective. Participants in our paddlesports program must be good swimmers as evidenced by passing the BSA’s swimmer test. 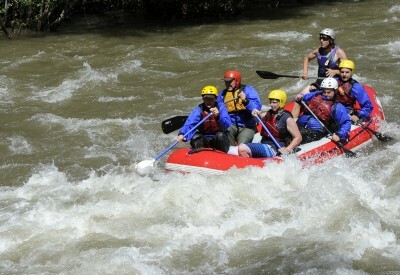 Rafters will want to bring everything on the rafting gear list. They will get very, very wet. We ask that all whitewater participants have a pair of secure river footwear (no flip-flops) that can be completely soaked. Participants should also bring a second “dry” pair of shoes for time off the river. Sunscreen is a must as is a dependable water bottle that can be clipped with a carabiner. If you wear eyeglasses or sunglasses, a retainer strap is highly recommended. YHAO provides splash jackets, PFD’s and helmets. 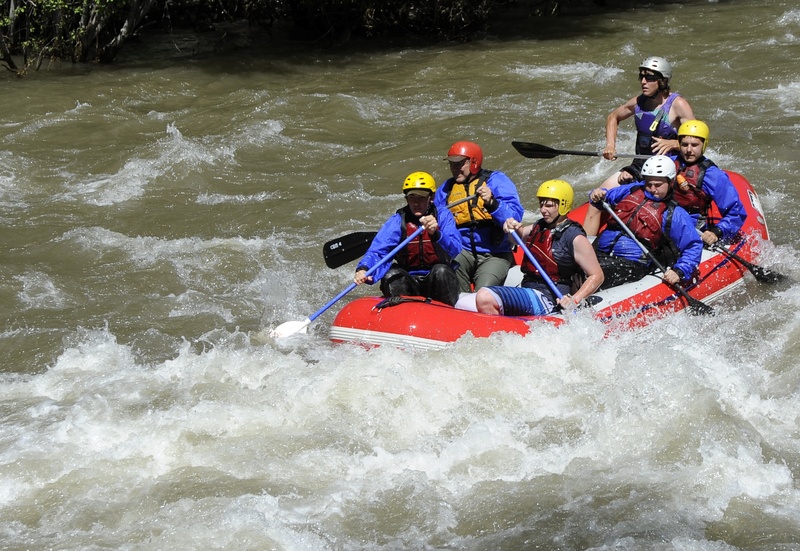 *Our full whitewater program is usually unavailable starting July 15 due to low river flow.